Voice recognition and control system specialist Nuance has released an update for its Dragon Mobile Assistant app for Android that introduces voice unlocking of a handset for the first time, as well as a couple of other minor updates. To use the new voice unlock feature, you just need to teach the app your voice by saying ‘Hello, Dragon’ three times and it then locks on to your own personal voice print. From here on out, the phone will only respond to your voice. Once taught, every time you say “Hello, Dragon”, it will open the app ready for further voice commands (some of which are shown below), like calling or emailing a specific contact. By default, the setting is switched off in the options menu, so if you want to use voice commands to unlock your phone, you’ll need to enable ‘Attentive Mode’ – it’s worth bearing in mind (you’re also warned) that using this could have a significant effect on the battery life of your device. Other tweaks introduced by the update include support for using the app in landscape mode – making the ‘Driving Mode’ potentially more useful – and faster rendering using the in-app browser. The browser (used for performing voice Web searches) now also includes options for sharing your search results, should you so wish. 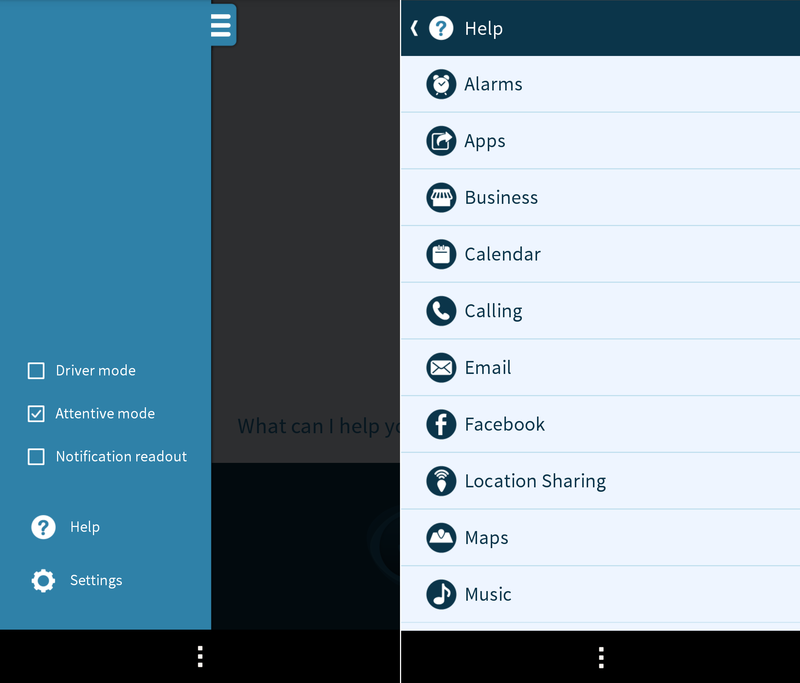 The Dragon Mobile Assistant is available to download now for free from Google Play for Android devices running version 2.3 of the OS or above.